Earlier today, President Obama stood in front of hundreds of community advocates in Chicago and declared Pullman a national monument. This long-awaited event is the result of years of work by NPCA and so many people that care about this place’s significant contributions to our shared history, from the U.S. labor movement to Civil Rights. President Obama speaks about Pullman's significance at the ceremony to designate the site a national monument. Photo © Antonio Dickey. After more than three years working closely with the Pullman community, we’ve heard a lot of questions. Why here? Why now? Here are some of the most frequently asked questions about this new national monument. Q: Why establish a national monument at Pullman? Wasn’t the National Park System created to protect natural landscapes like Yellowstone and the Grand Canyon? A: National parks, national monuments, and other sites in the National Park System protect places of unique national significance. In reality, there are more historic sites than large natural areas preserved in the National Park System. Few sites preserve the history of American industry, labor, and urban planning as well as Pullman. America’s first model industrial town has deep ties to the nation’s first major industry-wide strike—the Pullman Strike of 1894, which helped spur the creation of the national Labor Day holiday. In the 1920s, black workers employed by the Pullman Company as porters and maids were not well-represented and continued to struggle for workers’ rights. As a result, they created the Brotherhood of the Sleeping Car Porters, becoming the first African-American labor union to secure bargaining rights. Q: Why is Pullman a “national monument” and not a “national park”? A: National battlefields, national seashores, national historical parks, and other types of sites are all part of the National Park System. The only difference between a national monument and a national park is in the way the two are established. The president designates a national monument through his abilities under the Antiquities Act. Congress establishes a national park site with any of the other designations by passing legislation. The difference in designation does not affect funding, staffing, or protection. The historic Pullman administration building. Photo © Historic Pullman Foundation/Robert Shymanski. Q: How frequently does the president designate new national monuments? A: Nearly every president since 1906, regardless of political affiliation, has used the Antiquities Act to create new national monuments. Special places like the Statue of Liberty, Grand Canyon, Arches, and Fort Monroe were all established in this way. Q: What other national monuments has President Obama created? A: President Obama has designated 16 national monuments since taking office, including three new monuments announced today. In addition to Pullman, Obama created a new national park site at the Honouliuli Internment Camp in Hawaii where the U.S. government imprisoned Japanese Americans during World War II. This designation is especially poignant on today’s 73rd anniversary of President Franklin D. Roosevelt’s Executive Order 9066, which authorized these camps. Honouliuli is the fourth national park site to preserve the history of internment during World War II and to recognize the thousands of civilians who were detained for years in violation of their civil rights based solely on their ancestry. Other national park sites that preserve World War II internment camps are Manzanar National Historic Site in California, Minidoka National Historic Site in Idaho and Washington, and the Tule Lake Unit of the World War II Valor in the Pacific National Monument in California. Obama also designated a new monument at Browns Canyon in Colorado, which will be managed by the U.S. Forest Service and will not be a national park site. Q: How much support is there for creating a national monument at Pullman? A: A lot of support! More than 200 organizations and businesses and 15,000 individuals have expressed written support for a national park at Pullman. Pullman has unified leaders across the political spectrum. U.S. Senators Richard Durbin and Mark Kirk, Representative Robin Kelly, and nearly all of the Illinois Congressional delegation strongly support Pullman, as does Chicago Mayor Rahm Emanuel, Governor Bruce Rauner, and many other state and local elected officials. Q: How will the new Pullman National Monument affect the community? Q: Will the National Park Service own the entire Pullman neighborhood? A: No. The National Park Service owns the iconic clock tower, known as the Pullman administration building (pictured above). The state of Illinois will continue to own and operate the Hotel Florence as a state historic site and the residents of Pullman will continue to own and maintain the historic row homes that they live in today. Q: How will the federal government pay for Pullman? A: Congress must appropriate federal funding for national park sites through the federal budget process. Private philanthropists have also already raised nearly $10 million to renovate the iconic clock tower for use as an official visitor center. 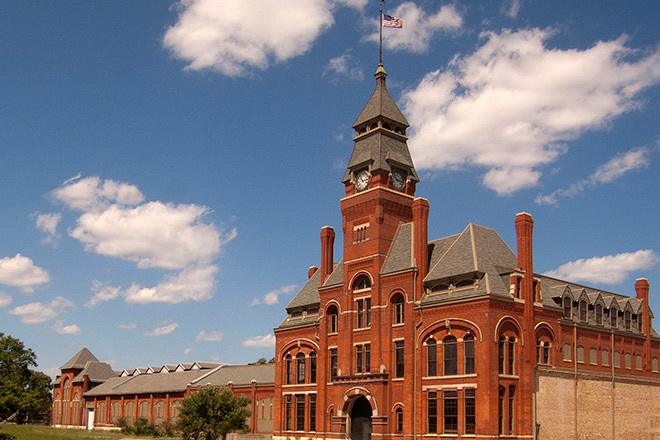 Q: When will Pullman National Monument officially open? A: The monument is now officially part of the National Park System. The Park Service has named interim staff from nearby Indiana Dunes National Lakeshore to begin working immediately to welcome visitors. Learn more about the Pullman Historic District and the coalition effort to make the site part of the National Park System at npca.org/npforpullman. Lynn came to NPCA in 2007 to launch the Midwest office in Chicago. As the Regional Director, she leads protection of more than 50 national parks in NPCA’s largest region.